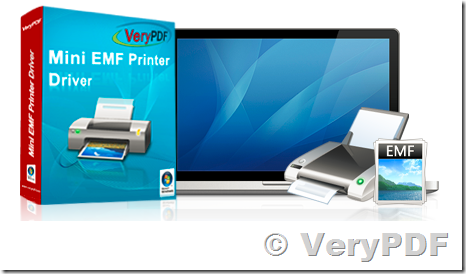 VeryPDF EMF Printer Driver can convert any printable file into Enhanced Windows Metafile (EMF) and WMF formats. Since the EMF format is a vector format, metafiles are used primarily by applications that require further processing of the printed documents. EMF Printer Drivers can also extract ASCII text from a printed file in addition to generating EMF output. EMF Printer Drivers are Royalty Free allowing developers to bundle and distribute the EMF Printer Driver as part of their own application with no per user fees. How to convert files of AutoCAD to pgm? How to convert MS Office Word documents of doc to ppm? This entry was posted in docPrint Pro, Metafile to PDF, Mini EMF Printer Driver and tagged emf conversion, emf driver, emf printer, emf printer driver, emf to pdf, metafile printer, metafile printer driver, metafile to pdf, wmf printer, wmf to pdf. Bookmark the permalink.